Motorists driving southbound on Jelutong Expressway (Lebuhraya Jelutong) should come across a prominent animatronic crab at Fortune Park. This is the facade of Oriental Red Seafood Market (东方红海味). Oriental Red is a two-floor seafood retail store that sells nearly every edible creature in the marine kingdom. In addition to retail sales, the store also supplies seafood to many seafood restaurants in Penang. 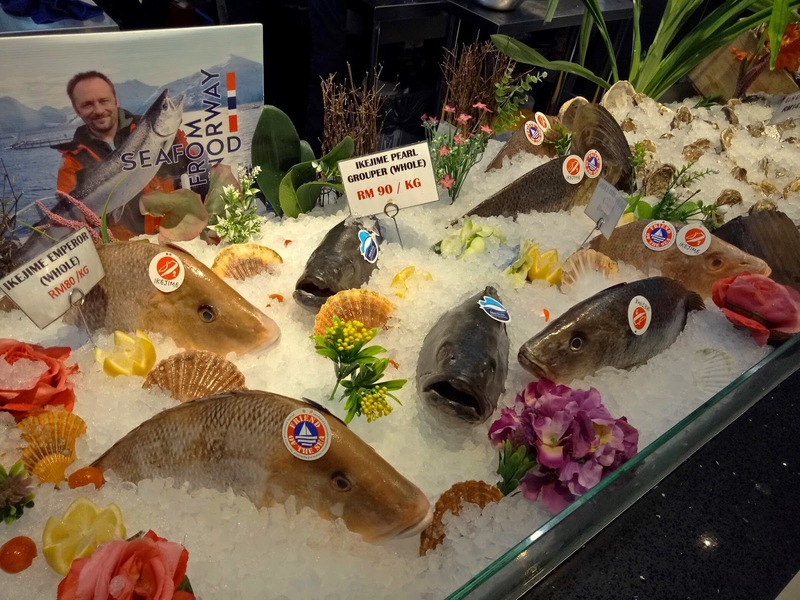 Oriental Red sources all kinds of seafood from around the world, including Atlantic salmon from aquaculture farms in Norway. To maintain freshness, seafood is usually stocked in chilled or frozen form. 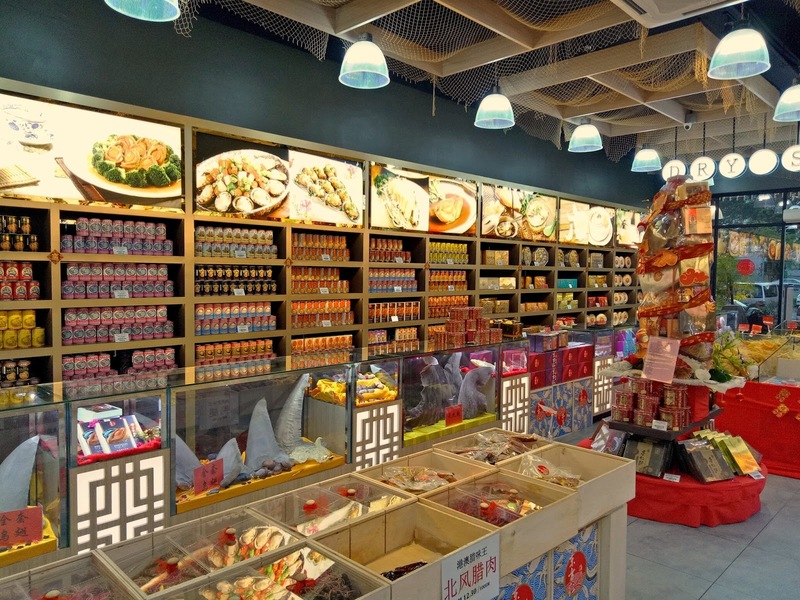 In addition to seafood, Oriental Red also carries a wide variety of dry goods ranging from canned scallops to bird's nest. 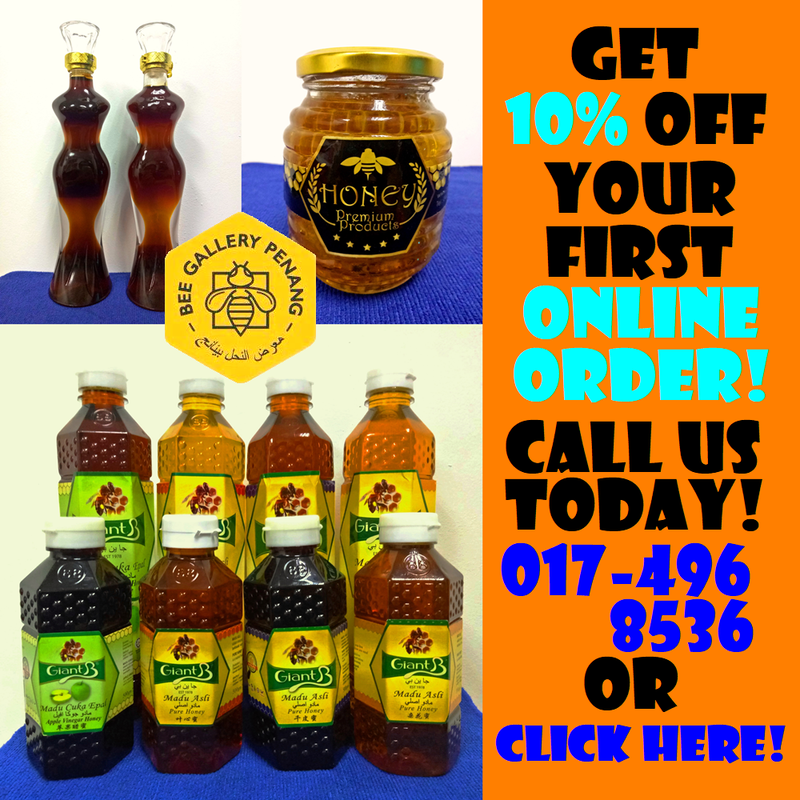 Some of these products are not easily found at the retail level. 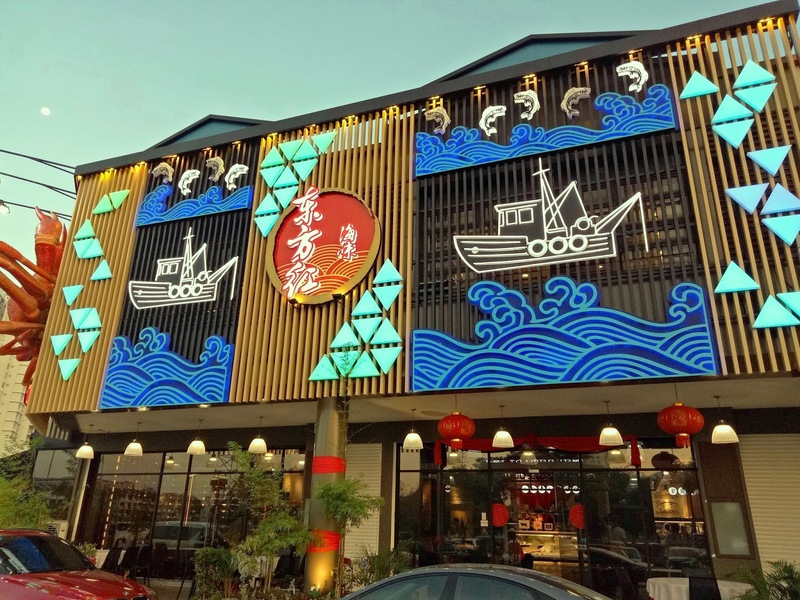 For a limited time, Oriental Red is having a Chinese New Year menu at its dining section. 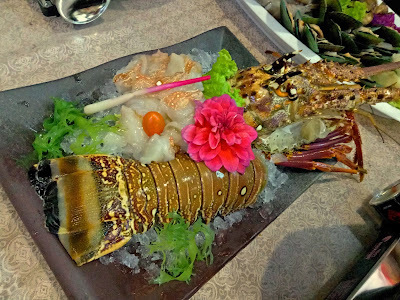 The meal starts with Oriental Red Yu Shang (东方红七彩鱼生). The platter features fresh slices of salmon and Japanese amberjack. Jellyfish, seaweed, baby octopus, roe and crab sticks are present too. Unlike most yee sang that I have tasted during this Chinese New Year season, Oriental Red focuses on juicy and crunchy ingredients as opposed to just crackers. 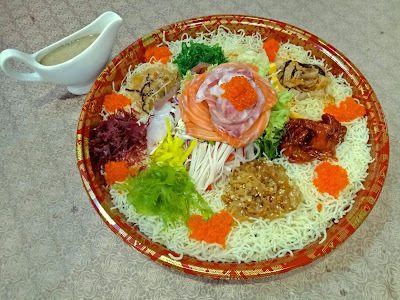 The yee sang (鱼生) is served with Japanese wafu dressing. Presented in sashimi style, this appetizer commands a high degree of prestige. 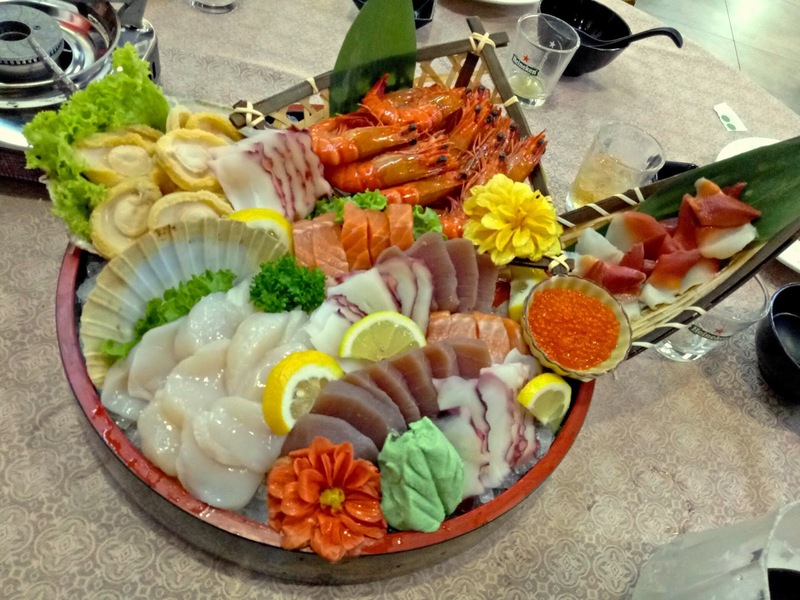 The next dish is Sashimi (刺身), an assortment of exquisite seafood including salmon (三文鱼), tuna (金昌鱼), northern prawns (北极虾), octopus (章鱼), surf clams (北寄贝), abalones (鲍鱼), Hokkaido scallops (北海道带子) and salmon roe (三文鱼卵). Wasabi (山葵) and lemon juice help to suppress the rawness of certain seafood ingredients. 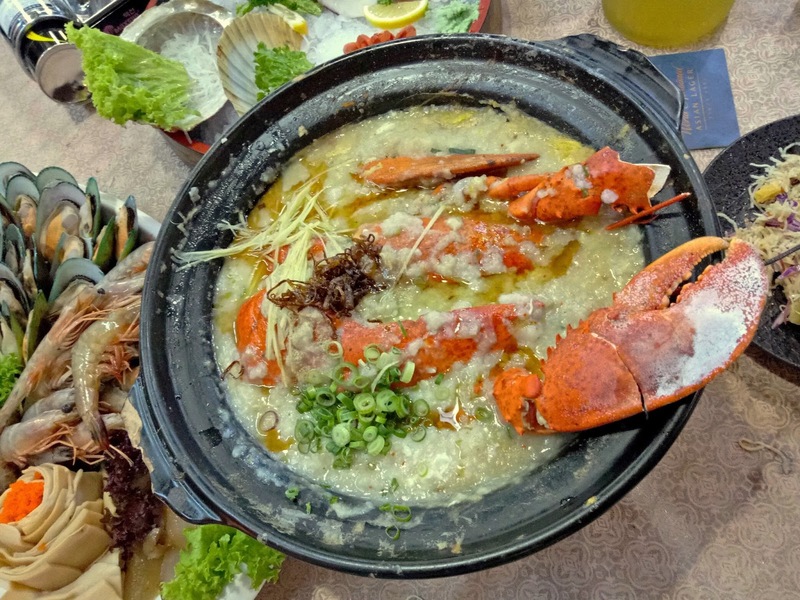 Oriental Red Signature Porridge (招牌粥) features a large Boston lobster (波士顿龙虾), which is succulent indeed. In this Cantonese-style porridge, rice grains have mostly disintegrated to form a thick emulsion. The porridge is also served with sesame oil, ginger slivers and chopped scallions. 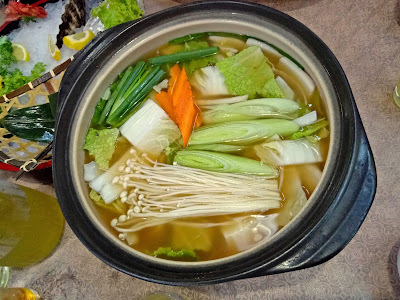 Oriental Red Signature Nabe Soup (招牌火锅) is prepared from lightly flavored vegetable stock. 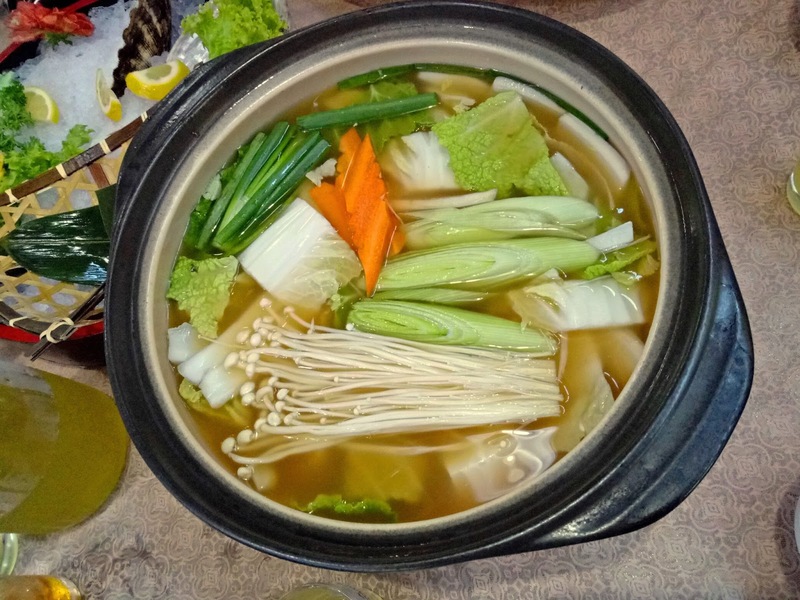 Served in a hot pot, the soup initially contains enoki mushrooms (金针菇), napa cabbage (大白菜), scallions (青葱) and carrots. Its taste becomes increasingly flavorful as more food is added to the pot. 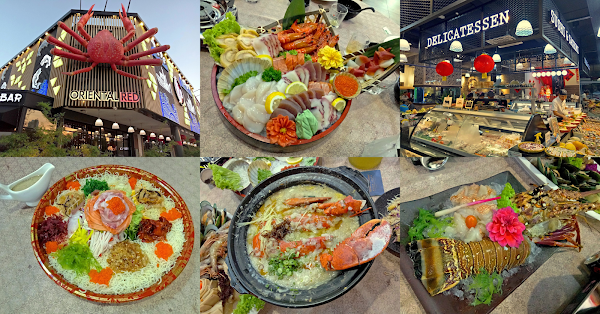 Raw ingredients for steamboat are arranged on a large platter. 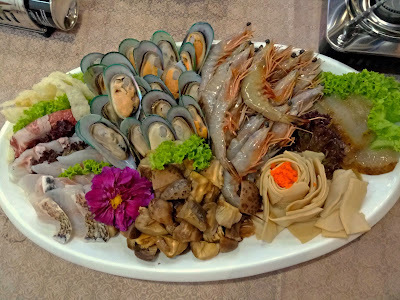 Seafood items are ikejime grouper fish fillets (法缔刀法石斑鱼肉片), king prawns (大明虾), New Zealand green-lipped mussels, abalone slices (鲍鱼片), sea cucumber (新鲜海参) and fish maw (新鲜鱼鳔). As for non-seafood ingredients, there are Iberico pork slices (西班牙黑毛猪肉片) and shiitake mushrooms (日本香菇). Another delicacy to go with steamboat is a gigantic Spiny Lobster (美国龙虾). 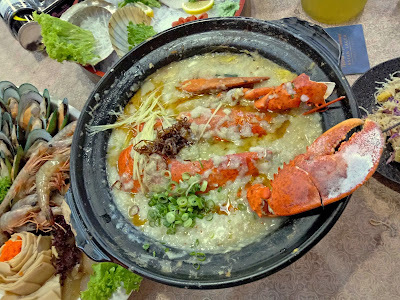 Also included are Alaskan king crab legs (皇帝蟹脚), which are cooked and served chilled. 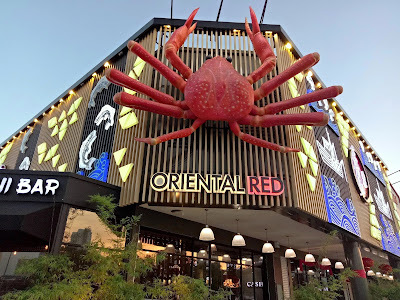 As your might have expected, a meal at Oriental Red does not come cheap. 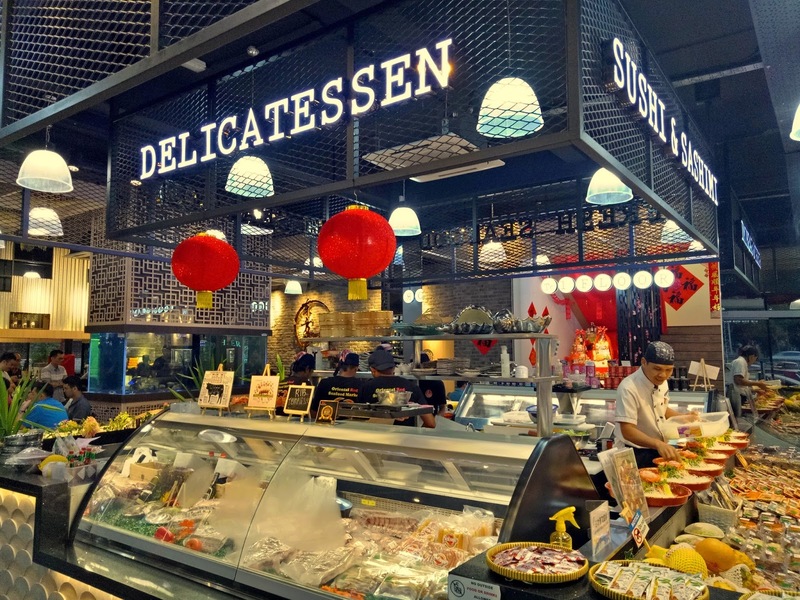 For instance, today's meal costs RM1,688.00 per table of 10 persons. Nevertheless, Oriental Red is popular among businessmen as a place to splurge and to impress clients. 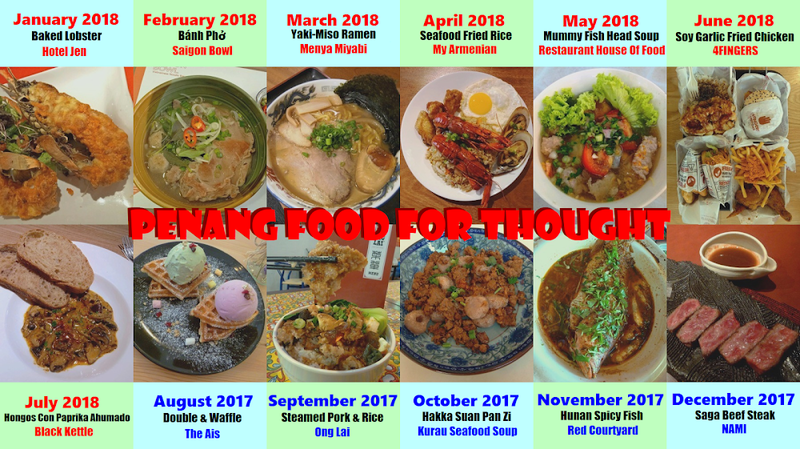 After the Chinese New Year season, I wonder how its regular menu looks like.